Oh little Miss E’s! My goodness, she was so good for her newborn session (I say that almost every blog post, don’t I??)! And with that sweet little face, what’s not to love? Nothing but sugar and spice here! It’s spring time in Akron Ohio, so what’s better to use than the tulips that were popping up in our backyard? I’m slightly obsessed with babies in buckets (have you noticed??) but this set was a fun take on the usual. And that bow from Hello Miss Gorgeous was the perfect final touch. Her sweet little face is giving me some major baby fever! Have I mentioned how much I love what I do?? 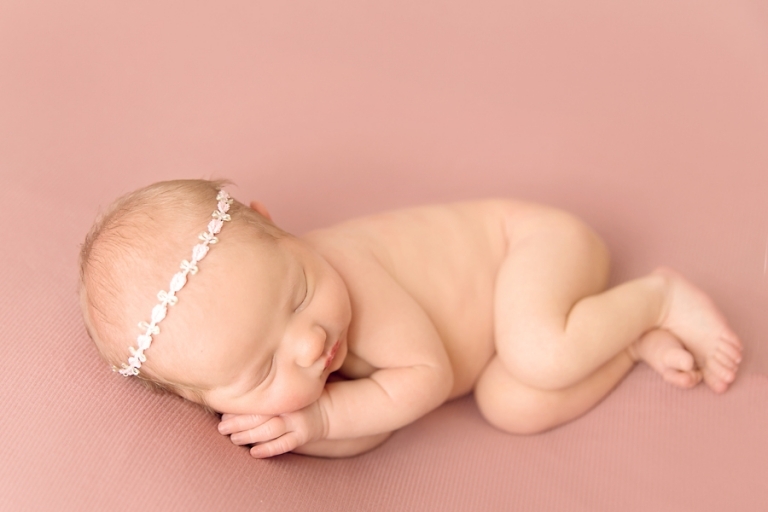 Halo by Baby Bliss props– all things girly! The bum up pose is always a favorite! Those little rolls….swoon! This drop is by Devoted Knits and is the perfect pink! You guys! This family! Oh my gosh, I loved them. So sweet! And they are gorgeous too which totally doesn’t make it fair, right? 😉 So happy for this family of three. Thank you so much for stopping by the blog! 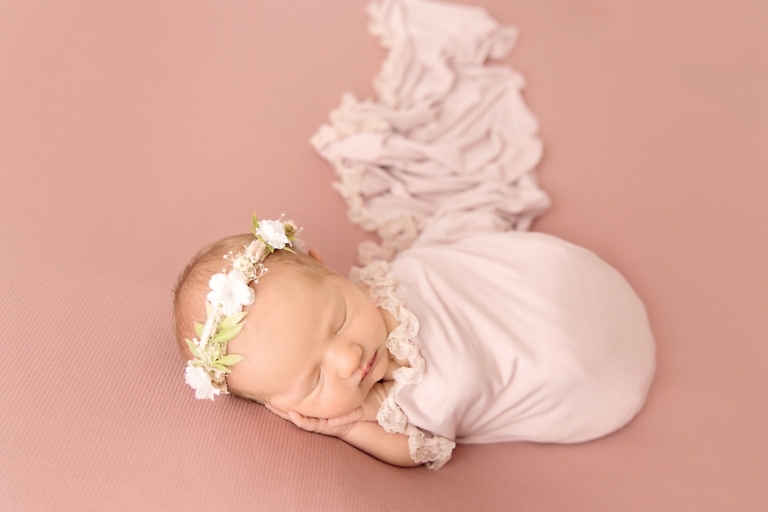 If you are interested in a newborn session, please visit the newborn portfolio and the newborn session information page. Newborn sessions are best done between 6-14 days new, but that window is flexible. 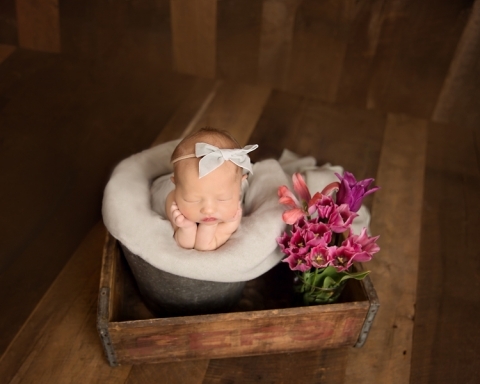 We want to make sure both mom and baby are doing well for your newborn session! If you have any questions, please contact me. 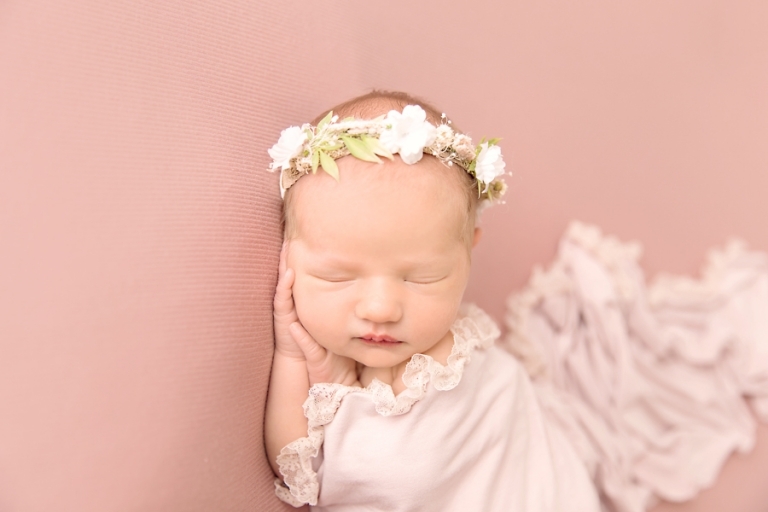 Looking for an Akron Ohio newborn photographer? To schedule your session, please contact Mary at mary@marychristinephotography.com or call 330-241-0424.